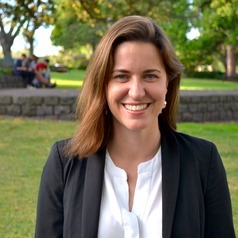 As Head of Programs at the Perth USAsia Centre, Erin is responsible for delivering the Centre's Indo-Pacific Regional Program, Australia Indo-Pacific and US Relations Program, and Education and Outreach. Prior to joining Perth USAsia, Erin was Director of Asialink Diplomacy at the University of Melbourne, and has held appointments at Monash University, United Nations ESCAP and Swinburne University of Technology. Erin is currently Chair of the Advisory Board of the National Centre for Student Equity in Higher Education at Curtin University. Erin has represented Australia at Track II initiatives around the world including the G20 in Turkey, China, Argentina and Japan. In late 2018 Erin co-founded the Latam-Australia Emerging Leaders Dialogue, she is a State Department IVLP alumna, and in 2019 visited Syrian refugee camps with Save the Children in Jordan and Lebanon. The recipient of multiple awards and fellowships Erin was awarded an Australian Postgraduate Award (Industry) and Monash Graduate School Faculty Scholarship, was a finalist in the not-for-profit category of the Women’s Agenda Emerging Leaders Awards, won the Australian Government’s Policy Hack, was a Global Voices Scholar, and spent time as a visiting library scholar at NYU Abu Dhabi. Erin has been invited to speak at roundtables, dialogues, and as a key note around South Asia, Southeast Asia, and the Middle East and has published academic and opinion pieces in China, India, and Australia. Erin regularly provides commentary on television and radio including the ABC and SKY News Australia and has appeared on Q&A, the Drum, Saturday Extra's A Foreign Affair, Radio National, The Bolt Report, The Friday Show, and Politics HQ. Erin’s qualifications include a Bachelor of Social Science, a Diploma in Management, a Diploma in Business Management (HR), and is currently completing her PhD in South Asia studies at Monash University. Erin has completed a full Ironman and is passionate runner.